Can you confirm these amateur observations of Cnemaspis otai? 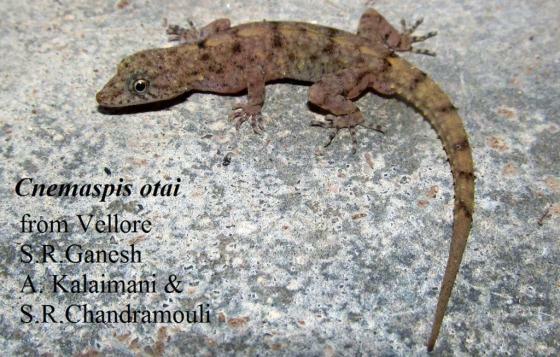 Type locality: Vellore Fort, Velore (12°56'N, 79°09E), North Arcot District, Tamil Nadu State. Etymology Named after hidetoshi Ota, Japanese herpetologist.